I’ve also managed to meet up with my friend Lindsay. He is actually in Germany right now. Despite of his busy schedule, he could still make time to meet me. I hung out with him and his friends, since he was leaving for Germany the next day, he also wanted to see them of course. It was great to see him being around his close friends. A whole other dynamic and a whole other Lindsay. It is good to see that he has such good friends and that they are so close. We were at this place in Claremont (Cape Town) called Hudsons. They have their own beer brand, which Lindsay and Percy (one of his friends) don’t like. 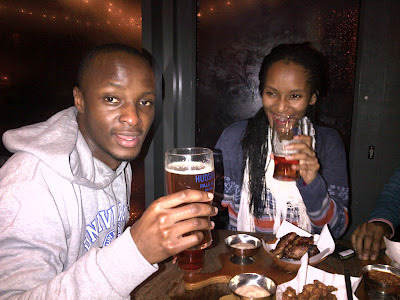 They kept on making fun of their other friend Zukisa who was drinking Pale Ale… It’s one of those things that you had to be there to understand the fun of it. The current YFC Cape Town volunteers have been busy with a school holiday project in Atlantis. The children over here have three weeks off (this will be their last holiday week). YFC has provided a project for about a hundred kids in Atlantis. Every day the kids got to come and join the programme and get breakfast and lunch. I visited them on Thursday and went back on Sunday for the church service. It was truly great to see the volunteers at work. It brought back a lot of memories. It was obvious to see that the children loved the programme and that they enjoyed the company and attention of the volunteers. I’m very happy to see that YFC Cape Town is continuing the amazing work that they do. The IVI programme (International Volunteers and Interns) is a blessing for both sides: it's great for us foreigners to be able to work in South Africa, but it is also great for the South Africans to get in contact with us. The children meet us – the foreigners - and their world are literally expanded and vice versa. I went to the church service in Atlantis. It was good to experience African church again. It's a coloured church, so a lot of happy clappy worship. This is not my kind of thing, since I’ve a traditional Roman-Catholic background, but I’ve always enjoyed African church. It fascinates me to see how people get into worship. 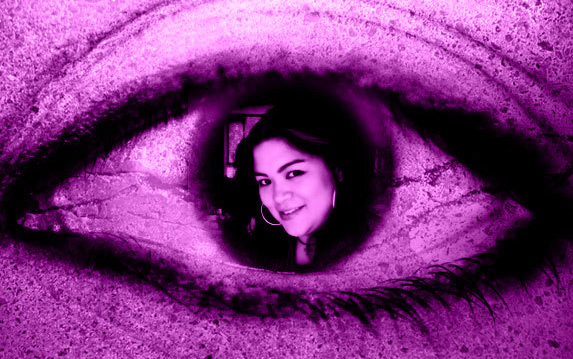 It always makes me have a closer look and thought on my own faith. 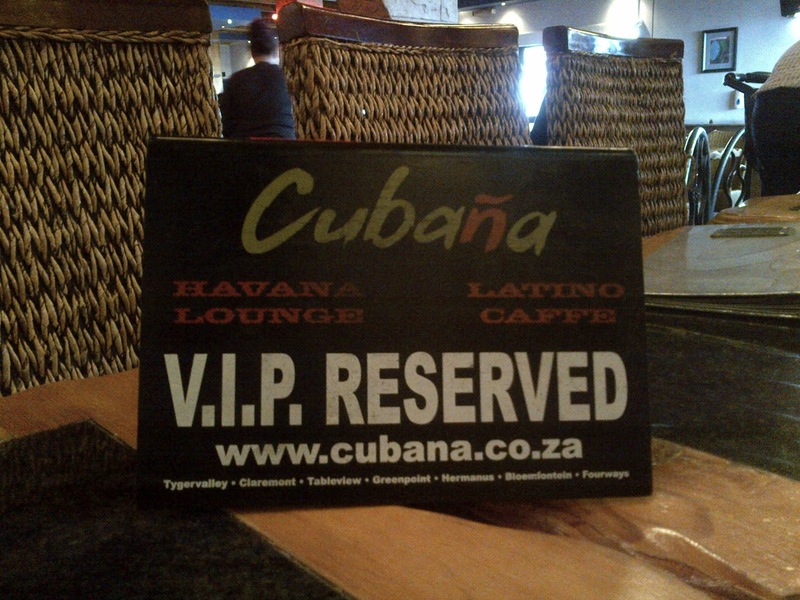 After church, I went for lunch with the volunteers at Cubana’s in Blouberg. This used to be one of my favourite hang outs while I was living here. It is in fact the place where I watched a couple of football matches during the European Cup in 2008, but let’s not talk about football ey?! :-S After lunch, I went back to the Blouberg house to hang out with the volunteers for a bit. While Denzel was driving us back, I just looked at the coast... it is what I’ve been longing for for such a long time. I was back at ‘my house’ for a short while last Saturday, but we came from the other side so I didn’t get to be on my favourite road of Cape Town yet. I have such a profound love for Blouberg. It is the area where I’ve lived for almost nine months. I was so head over heels with the house and its location. I used to sit on the latch for hours and hours just to look at Table Mountain & Robben Island and let the wind drift my thoughts away. It is a view that I never took for granted and that I’ve missed so so much for the last four years. Table Mountain is the brand mark of Cape Town. You can see it almost from any place in the city. It was even the first thing that I saw when the plane landed on African soil. 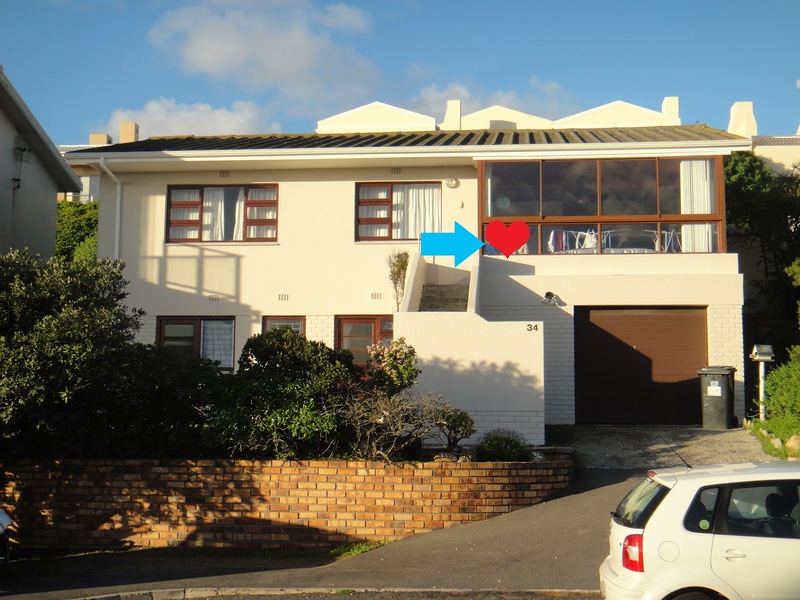 However, the view from Blouberg (Blaauwberg) is the view that I have imprinted on my mind and heart… a view and place that has concurred my heart. You must understand that I came to South Africa with a very heavy heart in 2008. During that stay, I was able to deal with certain things that I’ve been carrying around with me for years. Besides from this, I’ve met a lot of great friends and family and shared so many priceless memories with them. Now four years later, my heart is still full with mixed emotions that I’ve not been able to let out. Although the same group of people are not here now, ‘my’ Table Mountain, Robben Island, Blouberg beach and the Cape Town wind are still here to help me clear my thoughts and heart. I’ve had two short rendez-vous with my favourite spot that will keep me satisfied for now. I’ll be connecting with the current volunteers this week and stay over at the Blouberg house for a couple of days next week. I’m definitely keen on going to some of the projects with them, but seriously cannot wait for some ‘alone time’ at Blouberg either. Cape Town has been wonderful so far and I know that it will get better and better. I’ll be meeting up with more friends and there’s still a lot for me to do here. I will definitely keep you posted about everything. Have a great summer wherever you are in the world… I’m sure enjoying myself in my dearly beloved Cape Town!